No matter who borrow or lend, loan contract template is still needed to clarify the activities and to prevent misunderstandings, confusion, or disagreement by two parties involved. One best way to solve the problem is to understand more about what is meant by the loan contract, aim, content, and how to make it. 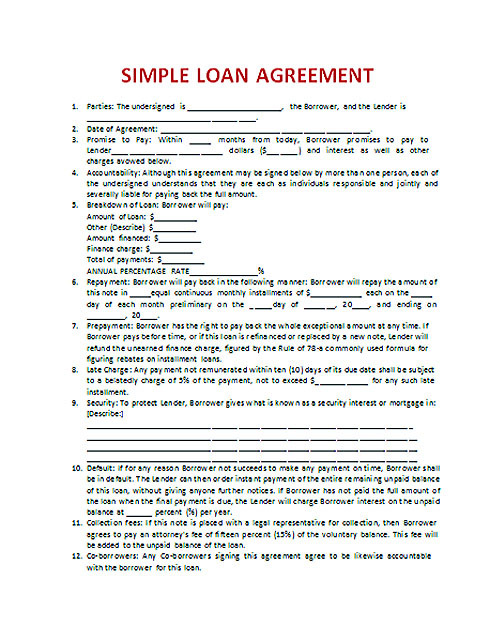 The loan contract is a written statement between two parties, the lender and the borrower. It has the force of law so that if one of the parties deny or violate the terms of the contract, another party can take him to court. By making the contract, it means that the borrower agree if the amount of money borrowed will be returned within the time period written in the contract with a number of interest. On the contrary, the lender cannot change or demand the money outside of what has been written. There are five key elements that always exist in every contract. First, the borrower is any person who will receive the money and would repay it. The lender is someone who gives his money but will get it back at a certain time. Then, principal amount is an amount of money borrowed by the borrower. Furthermore, additional interest is the amount of money that is given a certain percent. It depends on the amount of money borrowed as a charge or fee. Last, maturity date is when the money must be repaid by the borrower. 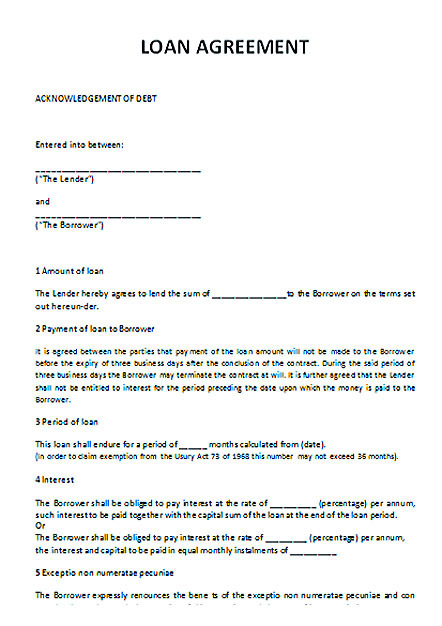 A borrower and lender can be involved under the loan contract template if they are in certain circumstances. It can be when a lender wants to lend money to someone with a set of terms. Outline the terms when someone is borrowing from a private party, if the loan includes interest, and if the borrower uses certain payment method like monthly payment. Other names of the loan contract are business loan agreement, loan contracts, personal loan agreement, and money lending agreement. The amount of money that will be given of course be mentioned including the amount of interest that will be provided in the loan contract. Both parties must decide on how the money will be returned, how much each time payment is made, and the due date to return the money. So that the lender is protected, then the required collateral in the form of assets of the borrower to be taken at any time if the borrower does not pay as stated in the contract. Some valuable items such as house and car could be collateral depending on loan amount. Late fees are given if the borrower misses the payment. Therefore, it is important to always make on time payments. 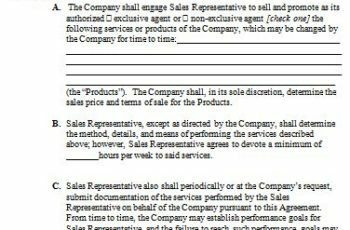 If the two parties cannot deal with the loan anymore, create details on the contract template that allow the loan can be sold or it means there is the third party in the contract. 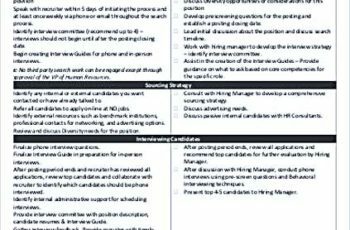 There are some other things that can be considered after knowing how to make the loan contract template. As the lender, it is better to understand about the consequences and problems that may arise during the relationship. Exactly, loan contract can make everything related about the lender and borrower clear. 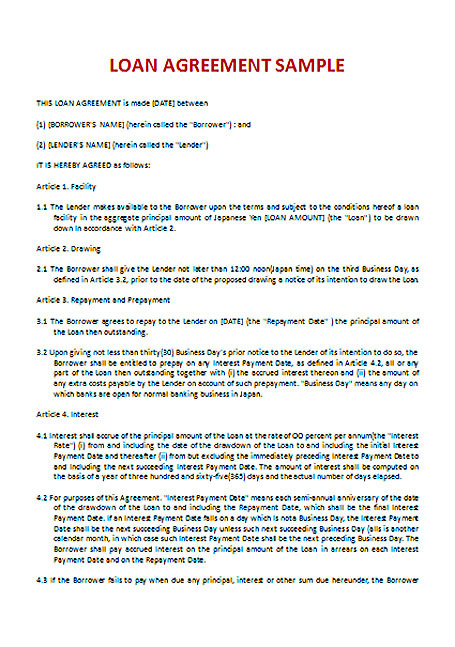 Details of the contract before getting to involve in the loan contract making. Loan contract is aimed at preventing problem that probably emerges in the future. 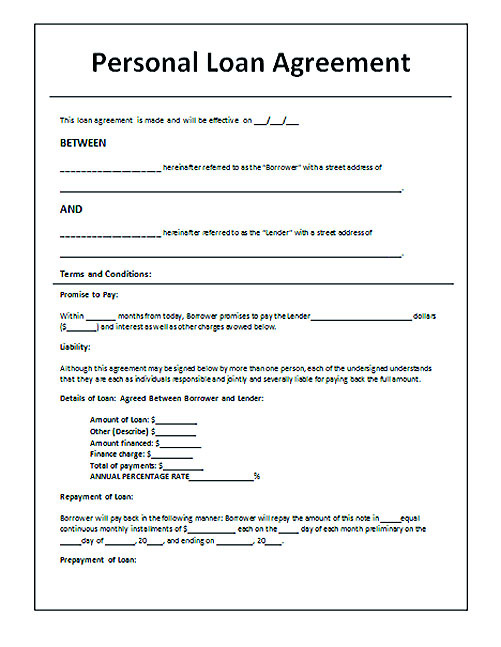 There is some information that should be included into this loan contract template including the name of both parties, amount, due date and many others.